If fax capability remains an essential part of your enterprise needs, ClarityTel has you covered with vFax or vFax+. Let ClarityTel's fax solutions help simplify the way you manage faxes. Send and receive faxes, without an actual fax line. hough faxing may seem like a throwback to the 1980s, many businesses still need to send and receive fax documents. Businesses that deal with contracts and signed documents are just one example of frequent fax users with a valid business need. So if your business requires a solid, affordable plan to deal with faxes, you might as well be savvy about it. Take advantage of the conveniences of modern technology with ClarityTel’s VoIP fax solutions — vFax or vFax+. If your business does require the use of a traditional fax machine, please contact our sales department about our ClarityTel Pyxis enterprise fax service. Send and receive faxes without a modem-based machine on your virtual fax number. Eliminate the need for a dedicated phone line. Everything is done virtually from the web. Sending page fees are included in your service rate to the USA and Canada. Never worry about a paper jam ever again. Save hundreds or thousands of dollars per year with cost savings on fax cartridges and paper. If you can get online or to e-mail, you can send from anywhere in the world. ClarityTel vFax allows for multiple incoming faxes at one time. Receive faxes whether your office is open or closed, online or not. Online dashboard lets you manage and review your vFax service through an easy-to-use web interface. Traditional fax machine service is available via T.37 and T.38 solutions with our ClarityTel Pyxis hardware. 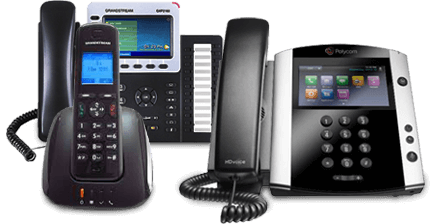 Contact our sales department if you need enterprise fax service with VoIP. Which of ClarityTel fax solutions fits?